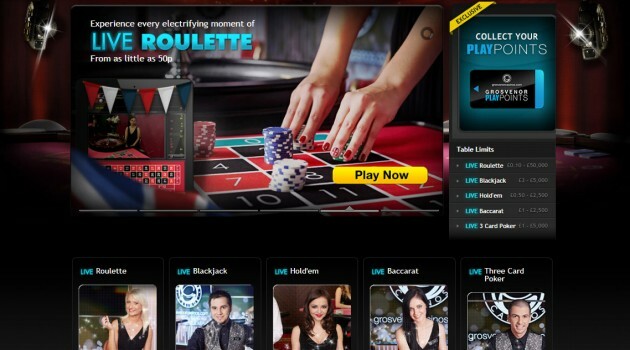 I have tried to be objective and consistent with all my live roulette reviews. Hopefully you will find them informative and helpful. I thought it might be helpful to explain the criteria I use to mark each of the casinos. Hopefully, the categories and explanations make logical sense. Game Options – I’m interested here in the games that they have. Do they have a good variety of live roulette tables and games. Do they have dedicated tables (as this can make a difference to promotions being offered and also whether you can get a seat!). I like to see roulette games that have a good spread of betting options so that low rollers and VIP’s are equally catered for. Customer Support – I like to see multiple methods for contacting customer support and ideally that they are available 24 x 7, as internet gaming shouldn’t be restricted to specific time zones. I also want to see that the customer support reps are knowledgeable, not just about the games, but the company they work for as this give me more confidence in them. I also want to be treated politely and quickly, not left hanging on waiting for a response as they try and deal with multiple customers at the same time. Playing Experience – This is also very important to me. I want to have fun and enjoy myself, it’s the whole reason why I play, so I want the software to operate correctly. I don’t want to see lag in streaming video or sound, as this can really spoil the “Live” experience. I expect the software to respond quickly, whether it’s as a download or in browser streaming, the experience needs to be consistent across the two. Software – All I ask is that it works, has the facilities and options I need to switch on / off sound, music and the like. It must be fit for purpose. The better software normally stands out. It should look good and be simple to get around, thats the key. Banking – I’m looking for a good selection of banking options. They must include debit / credit card, wire transfer and E-wallets as a minimum. I want to see that withdrawals are processed within an acceptable time limit. I don’t want to be waiting days for my money, when the deposit side only takes seconds. There is no need for it these days once the appropriate money laundering checks have been performed. Security – How good is the reputation of the casino amongst other players? Do they hold a valid gaming license? Are they transparent about the security measures they have in place. Are they regularly audited. Do they publish this information? Bonuses – Do they have bonuses?. How strict are the wagering requirements? Do they offer repeat bonuses?. Is there a good rewards system in place to offer money back or free spins to reward regular play? After all that, would I play there regularly? If you would like to retrieve all of the reviews for a particular category, for example, you want to see all the casinos that have Mastercard as a banking option. Select the Banking Tab below and then Mastercard. You will then get all the casinos that accept Mastercard displayed on the left. LiveEuropeanRoulette.com is an independent directory that provides information about playing online Live Roulette. You must ensure that you meet all age and other regulatory requirements before entering a casino and placing a wager. If in any doubt about your eligibility you should contact your local authority and ensure you comply with the casinos terms and conditions. YOU are responsible for determining if it is legal for YOU to play any particular games or place any particular wagers. You are advised to gamble responsibly. If you are unsure what this means or think you may have a problem with controlling your gambling please refer to www.begambleaware.co.uk or www.gamcare.org.uk for further information and guidance.